“Holding Space” will be in bookstores this November. 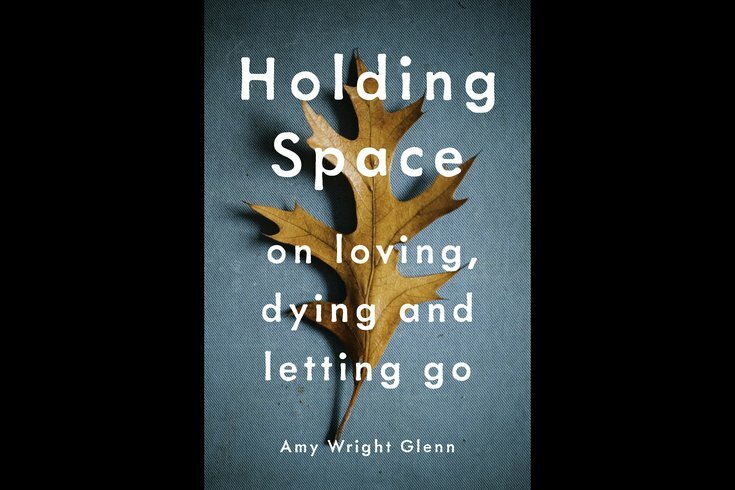 The following is an excerpt from Amy Wright Glenn’s new book Holding Space – On Loving, Dying, and Letting Go, published by Parallax Press and now available for pre-order. “Holding Space” will be in bookstores this November. It’s early evening and my beeper is finally quiet. I’m the only chaplain on call for the weekend, and my day has been filled with call after call. I decide to treat myself. I pull out my favorite candy, chocolate-covered almonds, and kick my feet up on a nearby table. Sweetness fills my mouth. I take a deep breath. I’m called to the bedside of a fifty-two-year-old woman on the oncology floor. She is very close to death. The woman, Mona, has received strong doses of medication to alleviate her pain, but her mind is brimming with suffering. When I arrive in her room, Mona doesn’t skip a beat. She dives right into the heart of the matter, and this entails expressing a great deal of anger. Mona resists. She grieves deeply for a life taken too soon by an aggressive and sudden appearance of pancreatic cancer. She holds my hands. “I’m so angry!” she spits. Mona’s family fills the room, but they keep a wide berth. Even her husband stands at a distance from her, awkwardly wondering what to do. I am the only one sitting by her bedside, in the direct line of fire of her angry spit. She is yelling. She is raging. I listen. “I am so angry. So angry! I hate this,” she repeats. My task in this moment is to mirror back to her the emotional storm at hand. This way I can honor both her anger and her grief. At best, she has days to live and she craves decades more. I try to sit in her hell. “You are furious,” I say. “Yes! My God! Think of my grandchildren.” Again, Mona’s face contorts with anger. Then sadness. Tears form. “There is so much I want to teach them and they are so young. I will never see them grow up.” She cracks open as she speaks these words. Soon she is sobbing. Her family, having kept their distance during her rage, now step closer. Her anger scared them. They are more comfortable being close to her sorrow. Mona’s rage made sense. Who wants to die in their early fifties from late-stage pancreatic cancer? It’s a sudden, unexpected, and too often terrifying exit. What should she do? What can be done to stop death? We long to do something, anything, in our heartfelt effort to alleviate sorrow. Often, end-of-life rituals entail compassionate actions that those gathered around the dying can employ: holding hands, reading beloved literature aloud, singing, praying, meditating, reminiscing about treasured memories, and listening. End-of-life doulas trained by organizations like the International End of Life Doula Association (INELDA) facilitate the creation of legacy projects, wherein the dying remember key moments in their lives and consider the meaning of their time on earth. Mona wants to leave a legacy to her grandchildren. “They say you have very little time,” I repeat her words. She nods, tears streaming down her cheeks. A few moments pass. The room is silent. Mona looks at me and wipes her eyes. I imagine that my CPE supervisor would be frustrated with my “problem-solving” response to Mona’s deep pain. I’ve been trained to listen, to mirror, to bravely join a patient and companion their suffering. We certainly are not encouraged to interpret a patient’s pain. If not combined with companioning skills, trying to fix it by offering up solutions is also discouraged. Mona’s face contorts and turns red. What will she say? I worry she will yell again, but this time at me. I take a breath and brace myself. But instead of pushing me away, she reaches for my hands. She pulls them close to her lips. Snot and tears soon cover my fingers. There’s a shift in the atmosphere of the room. Mona has found a way to crack open some light in this darkness. She can speak aloud her letters as final gifts to her young grandchildren. She can leave more than memories. Like a gardener, she can plant the seeds of nourishment, even if she won’t be present for the harvest. I turn to the family, asking if they can take care of the details, securing a recording device, and so on. They nod in affirmation. Then I turn to Mona and ask if I can give her a hug. She holds me close and we say good-bye. “The secret about feelings is that they dissipate when we let them flow,” writes clinical psychologist Dr. Laura Markham. It’s the resistance to feeling that causes a great deal of our suffering. So often, resistance to sorrow expresses itself as anger. It’s helpful to remember that rage and anger are often surface emotions. Akin to the tips of icebergs, they can contain a depth of grief and profound heartache beneath the surface. “Underneath the mad is the sad,” I teach [my son] Taber. It’s never too early to learn this life lesson. For I don’t want him to die with an angry heart, his family keeping a distance from his bedside. I want him to die after living a fulfilling and honest life, surrounded by those who love and cherish him. Slow medicine is a path to death that many of us would choose, were we be given the opportunity to help craft our transition from this world. According to a recent Stanford University study, 90 percent of doctors say they would forego resuscitation and/or extraordinary means of care if they faced a terminal illness. Contrast this with the fact that most Americans die in medical institutions, even though the majority of Americans desire to die peacefully at home. As I garden, I think of slow medicine and the conversations we all need to be having. Excerpted from Holding Space by Amy Wright Glenn © 2017. Excerpted with permission of Parallax Press.